Be the first to hear about their new releases and deals. Download the Booksprout app and search for Kimelene Carr today! 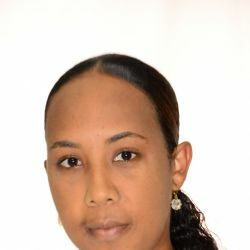 Kimelene Carr is an author and poet born and living in Trinidad. Before becoming a published author, she was employed as a teacher for ten years as well as tutored both primary and secondary students privately and over the years, she has also done freelance media coverage. Kimelene always had a deep love and strong passion for writing. Sans Espoir is her debut novel. Also published by Kimelene Carr are four poetry collections. At present, she lives with her husband, their three daughters and a mini zoo of pets in her hometown, Arouca.